On February 12, 1892, the Princetonian published this notice: “Mr. Barton Cruikshank has resigned the instructorship in Graphics to become superintendent of the Hammond Typewriter Co. Mr. F. C. Torrey, of the Electrical School, will succeed him for the remainder of the year.” Cruikshank had only just accepted the position of assistant professor the previous fall, teaching a “course of graphics” at the John C. Green School of Science, Princeton College. 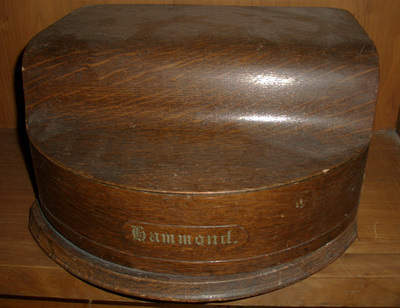 Princeton’s Hammond is a variation on the Hammond No.1. The Hammond No. 2 was introduced in 1895 and No. 3 in 1896. The machines sold well into the 1920s, when the name was changed to the Varityper and continued for another fifty years. 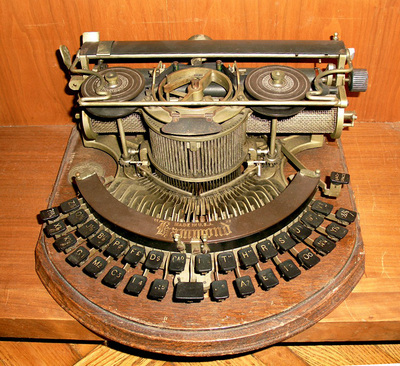 Hammond typewriter, 1880s. Museum objects collection.